UF Health leaders cut the on a new 9,000-square-foot addition to the UF Health Florida Recovery Center on Jan. 30. 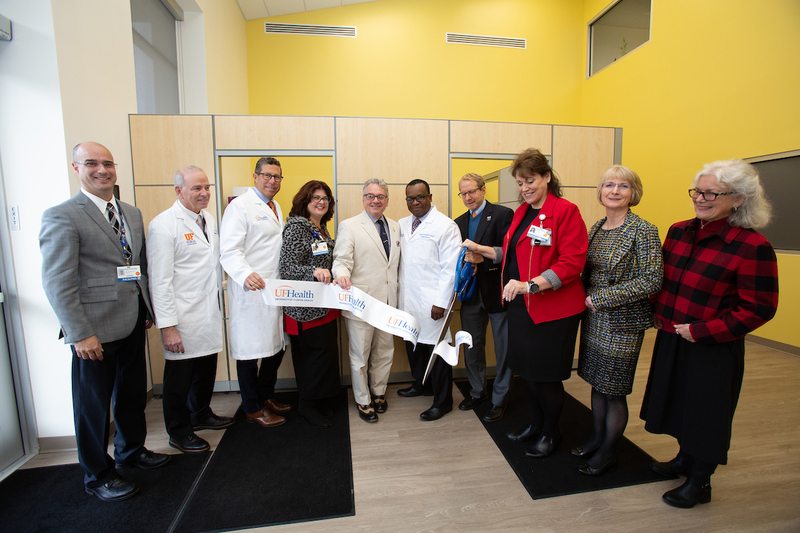 To address the growing public health threat of substance use disorders, UF Health is expanding its Florida Recovery Center with a new 9,000-square-foot renovated building that will provide more space for patient care, group activities and faculty workspaces. The FRC provides multidisciplinary treatments that are supported by advanced research from faculty at centers and institutes across campus, including UF’s Evelyn F. and William L. McKnight Brain Institute. Calling upon the skills of board-certified addiction medicine specialists, as well as psychiatrists and licensed behavioral health counselors, treatment encompasses the physical, emotional and spiritual aspects of recovery followed by the well-established and proven 12-step method.